BaSys is a synonym for Bartels Systembeschlaege. 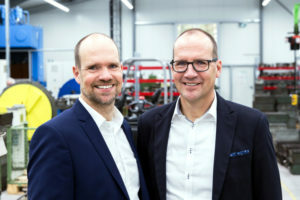 The family company is run by Albert and Juergen Bartels and has been developing, producing and selling a complete construction hinge program since 1995. B/a/S/y/s sees itself as a problem-solver for door and frame manufacturers throughout Europe as well as for national and international customers from trade and crafts. In 2001, the company was the first German manufacturer who has presented with the “PIVOTA” product family a concealed and three-dimensionally adjustable hinge and initiated herewith a new design trend in the door sector. B/a/S/y/s employs about 90 people at its headquarters in Kalletal, East Westphalia. BaSys was able to convince in an independent selection process with its organization of innovative processes. At the end of June 2018 TOP 100 mentor Ranga Yogeshwar, compamedia and Prof. Dr. Nikolaus Franke (scientific head of TOP 100) awarded the company in Ludwigsburg, Germany. 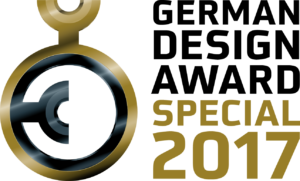 Iconic Award 2018 (German Design council) for „PIVOTA DXS Close“ (self-closing concealed hinge). 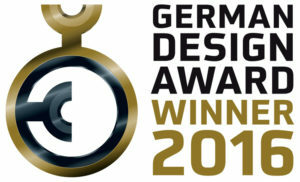 German Design Award 2017 “Special Mention” for „PIVOTA DX 61 3-D Design+“ (magnetically attached cover plates hide fixation and adjustment screws, the option “Design+” additionally masks the cut-out in the door frame to provide puristic optics). Innovationspreis Architektur + Bauwesen 2017 for „PIVOTA DXS Close“ (self-closing concealed hinge). German Design Award 2016 “Winner” for „Masterband FX2 120 3-D CS“ (concealed hinge for rebated front doors with continiuous sealing in the door leaf).